THERE are few things more British than a roast dinner. And even as food menus become more adventurous, the traditional roast is still a mainstay in many premises. But as with any aspect of an operation, the best quality roasts can only be delivered with the right equipment. 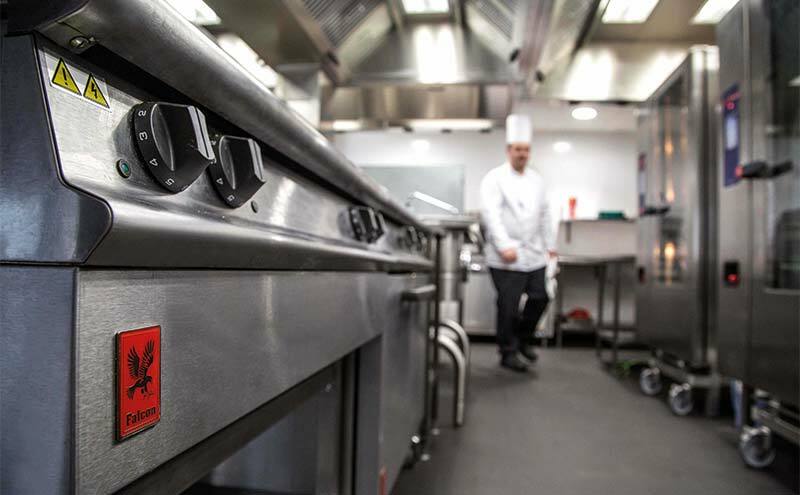 Catering equipment suppliers said there are a number of factors licensees should consider when selecting an oven for their venue’s kitchen, including reliability and after-sales support. David Barton, sales director of Pantheon, said it pays to have a clear picture of exactly what will be required of the appliance from the beginning. “Of course it will need to service your existing menu – as well as any anticipated additions or amendments – and provide sufficient capacity to cope with your busiest times, so spend some time calculating what functions and capacity you need before you begin your search,” said Barton. When the search begins in earnest, reliability should be the top priority, according to Shaune Hall, product development chef at Falcon Foodservice Equipment. “Any breakdown means service will falter, delays will occur and, ultimately, the customer will suffer – and so will profits,” warned Hall. Mark Hogan, commercial director of Foodservice Equipment Marketing (FEM), agreed. He said the priority should be finding equipment that is “reliable, long-lasting and hard-wearing” and urged licensees to buy appliances that are covered by “a full warranty and after-sales support to ensure peace of mind and reduce downtime”. Having any equipment regularly checked and serviced will also help reduce the risk of wear and tear. Simon Lohse, managing director of Rational UK, said regular maintenance “reduces costly downtime and ensures the equipment is always operational”. Although the more reliable units will likely be more expensive, this investment will ultimately pay for itself, said Mark Teed of Star Pubs & Bars. “Whilst a great commercial oven comes with a higher price tag, it’s well worth the investment in terms of longevity, efficiency, cooking results and reduced downtime and disruption due to breakdowns,” said Teed.